The superb series ends tonight. 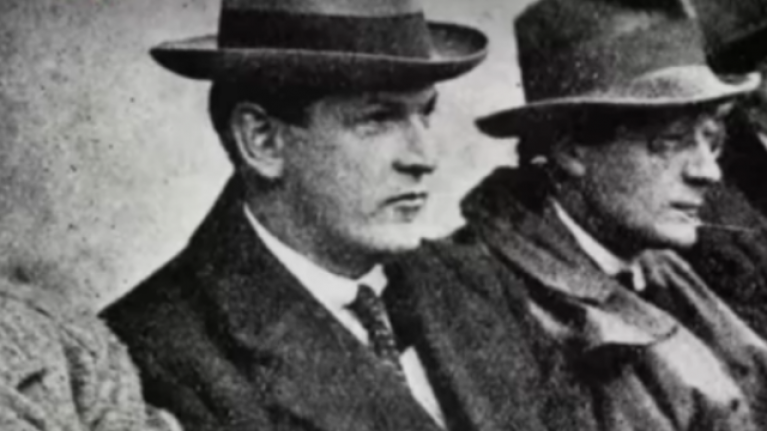 After the end of the first episode in RTÉ's wonderful three-part series The Irish Revolution, viewers were up to speed with events throughout the country as Dáil Éireann met for the very first time at The Mansion House, Dublin. Last week, viewers got a sense that revolution and rebellion were sweeping through the country as witnessed by the introduction of the Black and Tans, the Soloheadbeg ambush, the various acts of civil disobedience and defiance that spread through the nation, and most importantly, the death of Terence MacSwiney via hunger strike. Despite the sense that a revolution is coming, the Crown forces still had the IRA on the run and on the political front, De Valera's time in the US had failed to get international recognition for the Irish Republic. Elsewhere, an increase in the amount of British troops that were sent to Ireland resulted in the British Prime Minister, David Lloyd George, stating that he has "murder, by the throat". The demarcation lines were clear, it's Irish against British. In this environment, the War of Independence is set to escalate and in the final part of the series, it's clear that Michael Collins and the IRA are concerned about their ability to keep fighting the Empire. The spirit and structure was still in place, but the inability to get guns into the country was beginning to take its toll. The Irish Revolution airs tonight at 21:35 on RTÉ One.